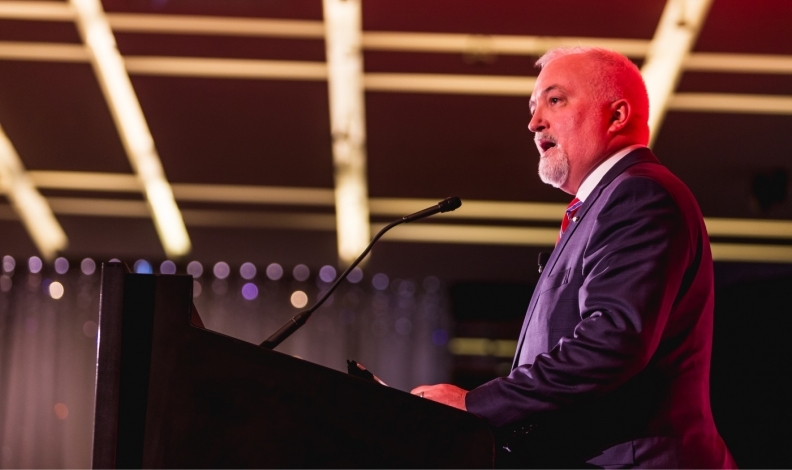 Former GM Canada President Steve Carlisle led the automaker back from the depths of bankruptcy, won over dealers and even Unifor leader Jerry Dias. Former GM Canada President Steve Carlisle’s sudden ascent to the head of Cadillac is being met with congratulations and some uneasiness about the future of GM Canada: A Canadian will no longer be at the helm. GM is betting that Carlisle’s record as an executive who can move metal and build relationships with dealers will help Cadillac better compete with the luxury segment’s leaders. But for many Canadian GM dealers, Carlisle’s departure marks the end of an era, one that was notable for a turnaround in the company’s dealer relations and a 21-per-cent increase in new-vehicle sales. Steve Chipman, the president of the Birchwood Automotive Group in Winnipeg, said he hopes Carlisle’s successor, Travis Hester, can fill Carlisle’s boots on the retail side, although he said he will miss having a Canadian in charge of GM’s Canadian business. Chipman said Carlisle’s connection and passion for the country helped persuade GM to invest in Canadian research and development and manufacturing, for instance. Carlisle’s departure comes at a pivotal point for GM Canada as it looks to reestablish itself as the country’s No. 1 automaker by new-vehicle sales. The company sold 302,826 vehicles in 2017, fewer than 6,000 vehicles behind Ford Motor Co., according to the Automotive News Data Center. At the same time, Hester arrives in a Canadian market that could be at the beginning of a downturn and in a manufacturing environment ripe with uncertainty due to the renegotiation of the North American Free Trade Agreement. Hester replaces Carlisle, who served as GM Canada’s president from November 2014 until April. Carlisle, 55, had been with GM since 1982, beginning as an engineering co-op student at the now-closed Oshawa Truck Assembly Plant in Ontario. He was also president of GM’s Southeast Asia operations in 2007-’10, head of U.S. sales operations in 2010 and vice president of global product planning in 2010-’14. He took over GM Canada at a time when it was in a precarious spot, struggling to catch up with Ford Motor Co. as the country’s top-selling automaker and finding itself in the midst of a massive lawsuit from former dealers who said their contracts with the automaker were unfairly terminated in the company’s 2009 bankruptcy. GM has largely had a reversal of fortunes since then, reporting a 21 per cent rise in new-vehicle sales between 2015 and 2017 and, according to Chipman, rebuilding the company’s relationship with dealers through face-to-face conversations. Unifor and GM bargained twice during Carlisle’s tenure, once in 2016 for most of the company’s unionized plants, and again in 2017 for an assembly plant in Ingersoll, Ont., that is on a separate contract. Both negotiations were contentious, particularly in 2017, when workers at the Ingersoll, Ont., plant went on strike for about one month and GM threatened to permanently close the factory. A deal was reached soon afterward, though without the job guarantees Unifor wanted. Unifor President Jerry Dias said he does not blame Carlisle for the strike, which largely stemmed from GM moving production of the GMC Terrain utility vehicle out of Ingersoll and into Mexico. He gave Carlisle credit for getting GM to invest $500 million in its Oshawa, Ont., assembly plant in the wake of 2016 negotiations, which largely focused on the factory’s future. The investment allows the plant to do final assembly on the Chevrolet Silverado and GMC Sierra pickups. Dias said he hopes Carlisle’s new position will allow him to be a pro-Canada voice in GM’s North American hierarchy. “There are a lot of U.S.-based, international corporations in Canada, where what they do is parachute somebody in for two years as a learning experience, and then they move them, so those two years are really about self-development. It’s not about Canadian workers. That’s one of the problems we have.